1. 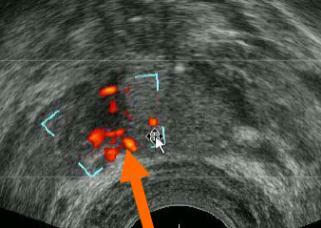 Since the imaging tool used (B-mode ultrasound) is poor at detecting malignancies in the prostate, the probability of hitting a clinically significant cancer or missing a clinically insignificant cancer is subject to random error. 2. 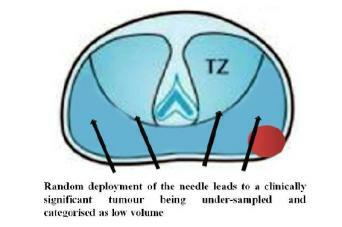 TRUS biopsy is also subjected to systematic error as it misses large parts of the prostate which might harbor cancer (e.g. apex and anterior zones). 3. TRUS guided biopsies are often unrepresentative of the true burden of cancer as either the volume or grade of cancer can be underestimated. In my future posts I will go into more detail on how these imaging modalities fit into routine workflow, how much they stay within budget constraints and what level of promise they bear for promoting personalized medicine. Stay tuned… Footnote: According to the final report by an advisory panel to the USA government: Doctors should no longer offer the PSA prostate cancer screening test to healthy men because they’re more likely to be harmed by the blood draw, and the chain of medical interventions that often follows than be helped; (http://www.usatoday.com/news/health/story/2012-05-21/prostate-cancer-screening-test-harmful/55118036/1) But then; what should be offered instead? Prostate Cancers Plunged After USPSTF Guidance, Will It Happen Again?